Here I will post stories, essays, and articles I have written. I looked at her with surprise. My intent had been merely to do a little Earth-friendly deed by refusing a plastic bag for purchases at a department store. But kids of a certain age just want to “fit in,” and all of the other customers were accepting the plastic. This being before one could recycle plastic bags at most grocery stores, the bags taken home that day are probably still in garbage dumps and earth fills. “Reduce, reuse, recycle” was the mantra I taught to my sixth graders on Earth Day, 1970 my first year of teaching. However, my daughter wasn’t even born at that time, and during the 80’s and 90’s lots of people forgot that lesson. Even littering…well, my daughter wasn’t the only one I managed to embarrass by my passion for recycling. One day I was chauffeuring my son and his best friend, who were snacking in the back seat. The normally polite and charming young friend finished his drink, opened the car window, and threw his plastic pop bottle out. Seeing it happen through the rearview mirror, I was (naturally) horrified. I slammed on the brakes and told the boys to retrieve the bottle. Maybe, possibly, unintentionally I spoke a little stridently. My son and his friend didn’t talk to me much more that day. Yikes! In the 70’s and 80’s there were different places for recycling plastic, glass, paper, and sometimes metal containers which were usually not located conveniently near one’s residence. I collected whatever product was being recycled in the area at the time and made the trip every so often. Now it is so much easier. Deffenbaugh and Olathe Trash and Recycling pick up almost all paper products (excluding shredded paper,) plastics #1-7 (excluding Styrofoam,) and metal containers. There are also magazine and newspaper bins at schools, churches, and some businesses, and Ripple Glass collectors can be found all over the metropolitan area. A few years ago when our recycling service tried picking up glass bottles in its bins, the glass tended to break and cut the workers. Once, my husband cut his hand while sifting broken glass out of a bin that I had filled. He didn’t hiss at me with clenched teeth or give me the silent treatment, but his look was accusing. It takes a bit more planning than taking bottles to the curb, but glass recycling is still fairly convenient, with all of the Ripple Glass collecting bins around. I even found a couple of Bridging the Gap recycle centers which will take scrap metal, toner cartridges, and blocks of Styrofoam. A large recycling center in Overland Park and three centers in Olathe take nearly all other recyclables. Also, Johnson County Hazardous Waste and Olathe Household Hazardous Waste accept electronics on certain days by appointment. In Green Bay, WI the residents rake their leaves to the curb to be vacuumed up by city vehicles and dumped at the city compost site. Residents of Renton, Washington enjoy curbside service which hauls away all compostable materials, even greasy napkins. It requires a little more effort here to bag or bundle yard waste or to maintain a compost heap at home, but our suburbs are green conscious, too. Olathe’s community composting site is free to city residents and accepts drop-offs from non-residents for a fee. New services and opportunities keep popping up. Finding out about special recycling events or ongoing services such as where to take Styrofoam, scrap metal, hazardous wastes, and landfill takes very little worthwhile investigation. Your city’s website or http://jced.jocogov.org/ will give you information about locations, hours, telephone numbers, and accepted materials. Fortunately, these days my daughter and son are dedicated recyclers at their own homes, and my husband is more passionate about reducing, reusing, and recycling than I am. He even maintains a big compost pile in our back yard and is building a rain barrel to help water the gardens. Green is in! It’ll be hard to embarrass my grandchildren with my passion for recycling. I’m thinking they’ll be grossed out by the earthworms in the compost pile and eventually become consummate composters. “Spring showers bring May Flowers. Bah! Spring rains are real pains, I say.” Every year at this time Mr. Fixter vowed to quit. To retire. “I’m getting older—into my eighth decade. I don’t need to be dealing with flooded basements and water-logged landscaping anymore,” he always thought. Mr. Fixter wasn’t his real name. For the first year of the 26 years he’d held his retirement job as superintendent of the Arrowhead Creek Apartments, he’d been just Robert Brown, Super. That was until everyone found out how he could fix almost anything. From then on Mr. Fixter it was. Fine with him. But every spring the rains came, and the apartment building was built so close to the creek. “What was that developer guy thinking?” Mr. Fixter grumbled to himself. He flipped on the basement light switch and carefully descended the steps wearing his rubber snow boots and carrying a squeegee. Mr. Fixter was ready. He’d finally gone to bed at midnight last night after trying unsuccessfully for hours to keep up with the backed-up drains and overpowered sump pumps. Then it continued to rain all night. On the bottom step the water came almost to the top of Mr. Fixter’s boot. Mr. Fixter grinned to himself as he left the basement and sloshed his way through the spongy yard to see what damage the flood had done to his grounds. The mud sucked his boots almost off his feet as he neared the ruined flower beds close to the creek. One of the priorities of my retirement was to organize all of the photos that filled a big antique “pie safe” in my house. For three years I opened the doors of that cabinet every once in a while, added new envelopes of photos, thought briefly that I should begin the project, realized that I had no idea where to begin, closed the doors, and decided that I needed to bake muffins instead. Meanwhile I reflected on the mishmash of my parents’ photos in cardboard boxes crammed into a storage closet at my mother’s retirement apartment, and I conversed often with fellow retirees about the need to organize our old photos. My friends all had different ideas about what they would do. One said that her plan was to make albums. Another said she wanted to divide her pictures and give some to each of her children. Most said they would try to arrange the pictures sequentially. A friend said that he had cut out photos of family members and pasted them onto background shots so he could display his family and the scenery together. No one I talked to, however, had actually tackled a whole cabinet like mine full of photos stuffed into shoeboxes, envelopes, and plastic bags. One Site (www.home-organizing-ideas.com/) advised me to label each picture with names, dates, location, event, etc. This time I only muttered to myself, “Now if I remembered all that information, the job would be easy.” Finally, the consensus of the multitudes provided the tip that got me started. On www.wikihow.com/Organize-Your-Photos I read, “Don’t feel guilty about having unsorted photos. Lots of people do. Do get going and sort them.” I cleared a day bed and the floor of the guest room, closed the door, turned on some music, and started through the first box of pictures. Immediately, categories made more sense to me than chronological order. There were pictures of the kids from babyhood, pictures of them now with their families, photos of friends, vacations, my husband’s side of the family, my side, etc. It was fun. Time flew as I threw out blurry pictures, remembered people and events, and categorized each photo. The stacks grew. That is not to say that the job was finished quickly. Oh, no. I spent an hour here and there over several weeks in the picture room. The room became stuffy because I had to keep the door shut the whole time so my cats wouldn’t destroy the fragile structure of my tilting stacks. If I had had overnight guests during those weeks, I would have put each stack into a bag and returned them to the pie safe cabinet. They might still be there today. Fortune and focus paid off. One day after my stacks were complete I went to a crafts store and purchased the same number of acid-free boxes as I had categories. I bought one larger box for the 5”X7” and 8”X10” photos in the collection. At that point I again hesitated and postponed filling the boxes. The trick now was to organize the photos within the categories. I had decided to arrange them chronologically. My reluctance to get started arose every time I pondered the fact that so few of the old pictures were labeled with names and dates. Gradually, however, each of my eight boxes took shape. I had dated many more photos over the years than I thought. Others fell into sequence due to apparent ages of the kids, locations, or even hairstyles. Photos from ancient torn albums were easy to disassemble, stack, and label with box dividers. Finally I stacked the eight boxes onto the cleared shelves and stood back to admire the lack of clutter. Now I’m looking forward to taking photo trips down memory lane with my husband, children, and grandchildren. 3. It cannot be done in one sitting. Find a place where you can leave stacks and work on them a little at a time. 1. (Most importantly) Just begin! Next you need to scan all of the pictures to the computer and send them to me. Just kidding. Whoa–that would be a job. You can come to my house and see them! (hint, hint) Or I can bring some of the boxes on a visit–best plan right now, huh? Wow! You are both very patient people. I admire your tenacity. Great fun to share in your adventures!! 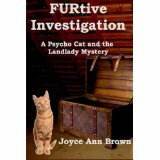 Joyce, I really enjoy reading your stories about everyday things we all experience. Thanks, Janet. I enjoy experiencing those everyday things. I guess most people do. That’s why we like the feature writers in the newspaper. My take is Midwestern, female, and heartfelt–might appeal to others of my ilk. 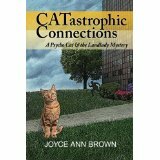 Hi Joyce: Your patience, tenacity, and down-to-earth real life experiences are well-put together in your blog. I love reading them. CONNECTIONS. I’ll share with the sisters. OOOO. Thank you for the good review and the creative figure of speech! “S’more” of the cozy mystery will be coming out soon, I hope. Getting all the P’s and Q’s of revision finished for an editor is my goal right now. Thanks for reading, cuz.